Orange Cleaner is a natural, quick acting, economical formula for removing artistic soils, dirt, and grease with or without water. It is available in a formulation with pumice for extra cleaning abrasion. USDA E4 Classification. 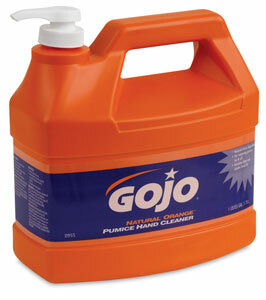 ® Gojo is a registered trademark.